Add a sleek, new, frameless dimension to your wall decor or displays with our Standout Mounts! Standouts provide a contemporary frameless look for decorating your walls. 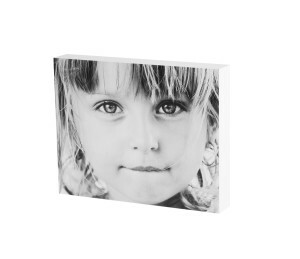 As an alternative to traditional canvas wraps, our Standouts offer an impressive ready-to-hang display. Available in two thicknesses and in many popular sizes using your choice of any of our paper surfaces. Three stylish edge finishes are available in the ¾” version: textured black, smooth white, and brushed aluminum. The 1½” version is available in two edge finishes: textured black, and smooth white. Make useful yet custom giveaways. 1 ½” offered in textured black and smooth white only. 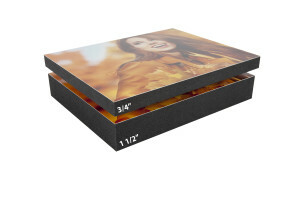 Mount your favorite photographic paper surfaces: Glossy, Matte, Lustre, or Pearl/Metallic. Hang individually, or in multi-panel clusters. 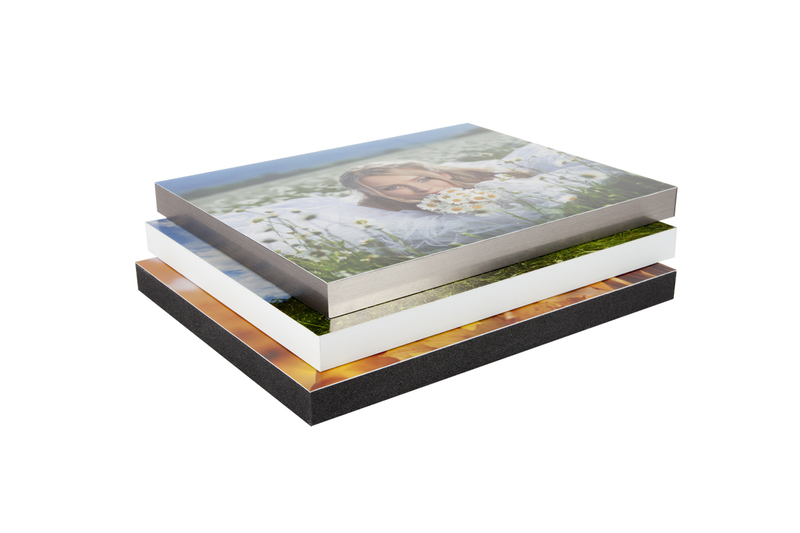 Standout are photographic prints on Kodak Endura Lustre surface and permanently mounted to a thicker dense foam block with laminated edges in your choice of several finishes. What is the turnaround time on Standouts? Yes, Standout prints are ready to hang and smaller standouts even stand easily on a flat surface. How can I clean my Standout print? The laminate edge of Standout Prints can be cleaned with a slightly damp cloth. The surface of a Standout is a photographic print so this should not be exposed to liquid and can be wiped gently with a soft cloth.